Mahindra has been reluctant with pursuing SsangYong brand as the flag bearer in the premium scale in the domestic market. It is mainly due to the lukewarm response received for the South Korean SUV specialists in India and the lack of brand awareness among buyers. The Mumbai-HQed Mahindra has been clever in utilising SsangYong’s technologies as it was the first company to roll out a monocoque SUV and its impact can be seen in the next couple of launches Mahindra has lined up. The S201 subcompact SUV is based on the Tivoli while the upcoming Fortuner rival is the rebadged version of G4 Rexton. With the latter scheduled to launch on the same date as Honda CR-V on October 9, the remaining stocks of the existing Rexton has to be cleared out. SsangYong’s official entry into India almost six years ago was through the Rexton and despite being a capable SUV, it could not garner consistent sales. 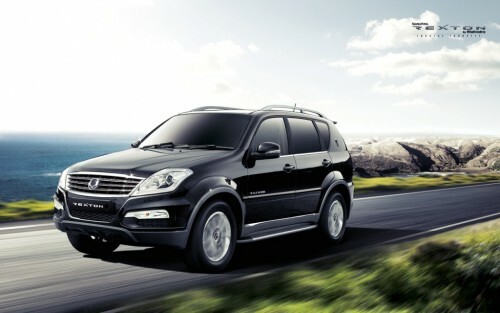 The existing stocks of Rexton are now offered with a massive discount of up to Rs. 9.50 lakh to make way for the Mahindra-badged new version that has received tremendous attention in the international markets. With ex-showroom price of Rs. 25.99 lakh being trimmed down to around Rs. 20 lakh (on-road) including insurance, registration and road tax, it has become a VFM prospect at the end of its lifespan. 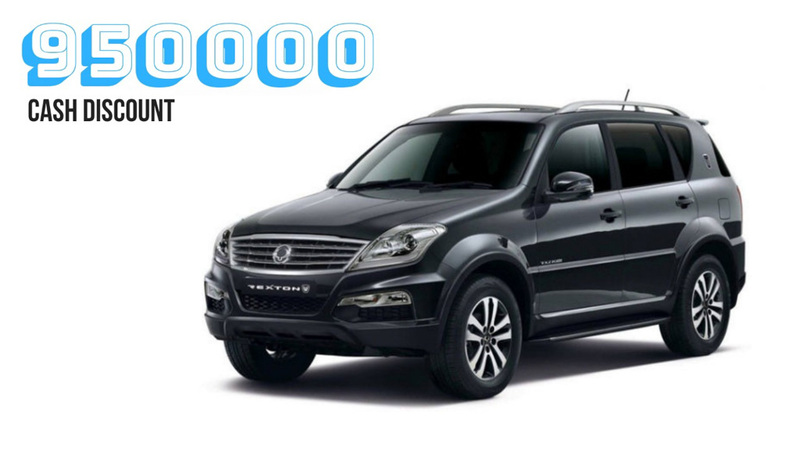 The Rexton was introduced with a 2.7-litre diesel engine available in two states of tune: The RX270 XDi with 164 PS and 340 Nm and RX270 XVT with 186 PS and 402 Nm. The former is mated to a five-speed manual with RWD configuration, while the latter uses a five-speed automatic with AWD. The huge discounts meant the Rexton is way cheaper than Toyota Innova Crysta, Mahindra XUV500, Jeep Compass and Hyundai Tucson with features such as cruise control, premium leather upholstery, eight-way adjustable powered driver seat with memory function, dual-tone interior, automatic headlamps, rain sensing wipers, intelligent 4×4 Torque on Demand, electric sunroof with tilt/open function and infotainment system with Navigation. Some of the important safety equipment are ESP (Electronic Stability Programme), front and side airbags, Anti-Slip Regulation, Active Rollover Protection, and Hill Descent Control.